Not recommended for use on Redwood, Douglas Fir or other high tanning woods; may occasionally darken these woods — please test first. 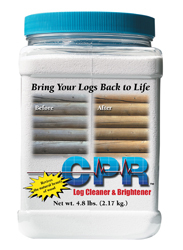 CPR Log Cleaner and Brightener bring your logs back to life. 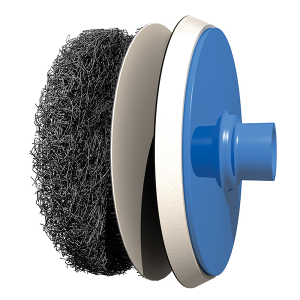 It effectively cleans and restores color to logs and wood and restores the original luster. This gentle oxygenated bleach formula won’t weaken wood fibers while effectively killing mold, mildew and fungus and removing dirt, dust, pollen and other surface contaminants. Easy to mix and apply. 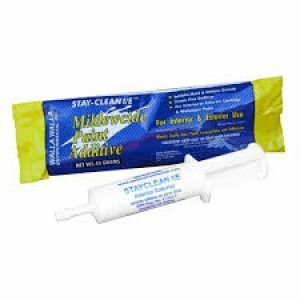 Safe to use around pets and kids, environmentally friendly and won’t harm plant life.